Sadly, the Petronas tower was closed on Monday, so we were off to the art museum instead. The Museum of Islamic Art was a lovely, well curated (and cool in every sense) refuge. We got ideas for future travel in their displays of mosques from around the world (Uzbekistan seems to have multiple treasures). 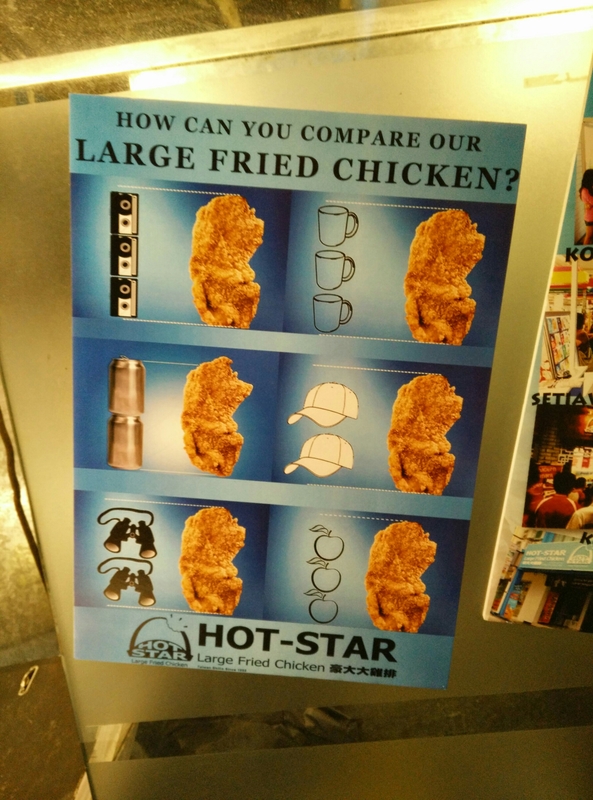 We’d been too late the night before for a humongous fried chicken, so it was our next stop. No durian chaser. Then, back to the mall! We’d seen the shops, the grocery stores in the mall, the decorations. Now it was time to partake! 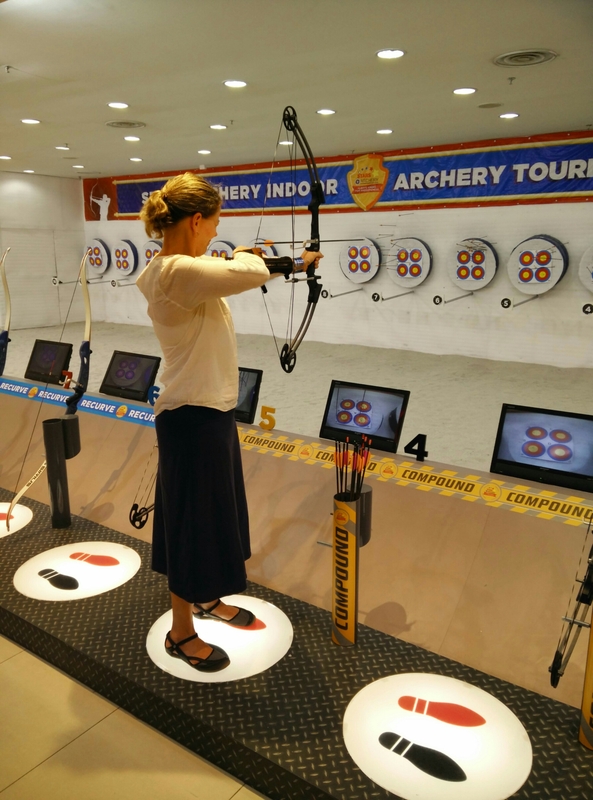 While we’d skipped mall aquariums here and in Dubai, and mall roller coaster, we were in for archery! T- a lefty shooting with his right hand- had a methodical approach, where I let my summer camp memories kick in and the arrows fly! Why can’t they have this at our malls? Good fun! As our hotel was in Little India, we had a yummy Indian dinner. T briefed me from his history research on how Singapore had previously been part of Malaysia, but was expelled from the union in 1965 after less than two years together. Singapore is predominately Chinese whereas Malaysia is only 22% Chinese. It’s one complicated melting pot, and we weren’t even touching upon eastern Malaysia, where the provinces of Sarawak and Sabah share an island with Indonesia and Brunei. In exchange for his knowledge, I told T of my latest book The Gift of Rain, by the Malaysian writer Tan Twan Eng, which was set in 1940s Penang, our next destination in Malaysia. He wove a complicated tale of the Chinese, British and Japanese who all had loved Penang for its trading port, its nearby tin mines and rubber plantations and its food.